Megan just completed her third year as the Assistant Coach at the University of Pennsylvania. Her responsibilities include coaching both the walk-ons and the Varsity 4 throughout the year. Megan began her rowing career as an athlete at St. Ignatius Prep, and competed for the University of Wisconsin Women’s program from 2002-2005. Her coaching career began from 2009-2012, when she returned to her alma mater and coached at St. Ignatius Prep. Additionally, during the summers of 2012 and 2013 she coached the USWJNT Development Camp. AJ Fournier enters his 7th season as assistant coach with the University of Rhode Island men’s crew program. Prior to coaching he was a coxswain, captain and president of the club program. Fournier’s primary responsibilities include working with the novice/freshmen and JV rowers as well as campus recruiting. He continues his competitive career with the Riverfront masters team out of Hartford, CT, coxing a variety of crews to medals at the USRowing Masters National Championships. Fournier also holds a full-time career outside of rowing as Business Intelligence Engineer with a Fortune 500 company. 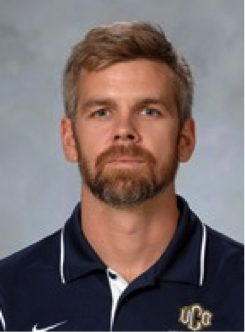 Tim Desrosiers joined Florida Tech as the full-time assistant women’s rowing coach in the fall of 2014 with 11 years of collegiate and high school coaching experience under his belt. His prior experience includes the position of head coach and program director for both the men’s and women’s programs Umass-Lowell, as well as positions with MIT, Greater Lawrence Rowing, and Space Coast Crew. Additionally, in the spring of 2011, Desrosiers was brought on by Division II school Merrimack College to begin its first-ever women’s rowing program. In the program’s first year, the Warriors captured a silver medal at the New England Rowing Championships. Desrosiers began his rowing career at the University of Massachusetts-Lowell where he studied Graphic Design from 1998 to 2002. 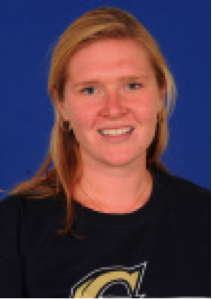 Maryann Grunseth returns to the GW women’s rowing program as an assistant coach. Grunseth is responsible for the walk-on athletes, the third varsity eight and assists with recruiting. Prior to GW, Grunseth served as the assistant coach at Amherst College where she coached 25 men’s and women’s novice athletes. She has also coached at DC Strokes, Academy of the Holy Cross, and Athletes Without Limits. As a student-athlete, Grunseth had a distinguished career as a four-year rower at GW and captained the Colonials her senior year. 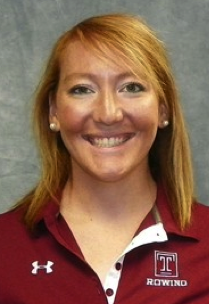 Alyssa O’Donnell was named an assistant coach for Temple women’s rowing in August, 2014. O’Donnell came to Temple after spending two years with the Grand Valley State University Rowing Club where she served as the varsity assistant coach. O’Donnell started her coaching career with Saratoga Rowing Association and has also coached at Pine Crest High School and University School. Most recently, she was head coach of the Vesper Boat Club Junior Women’s summer program. O’Donnell, an upstate New York native, began rowing at Saratoga Rowing Association. During her collegiate career, she competed for Nova Southeastern University, and earned a bachelors degree in exercise and sports science and an associates degree in psychology. 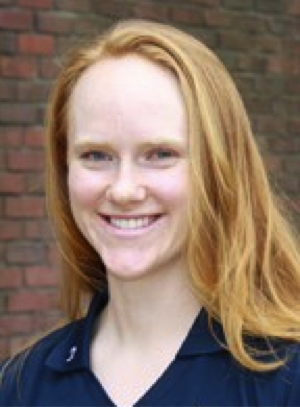 O’Donnell is a 2011 CRCA All-American First Team member and a US Rowing Level II Coach. In his first year as Central Oklahoma’s assistant rowing coach is Montia Rice, who is in charge of the novice program while also serving as recruiting coordinator. He has been involved in rowing for the past 16 years and has been coaching for eight. Coming to Central from Jacksonville University, Rice brings a unique perspective having previously coached the JU Men. 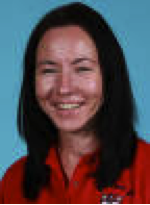 Montia was the head men’s coach for two years and assistant men’s coach for one. Rice also oversaw the University of Florida Crew Club for four years after having started his coaching career at Jacksonville, his alma mater, as a volunteer coach. A product of St Augustine Prep School in Richland, N.J., Rice was a four-year rowing standout at Jacksonville. He graduated from JU in 2006 with a history degree. Colleen Irby joined the Columbia coaching staff in August of 2014. She joined the Lions’ program after a two-year stint at Smith College in Northampton, Massachusetts. 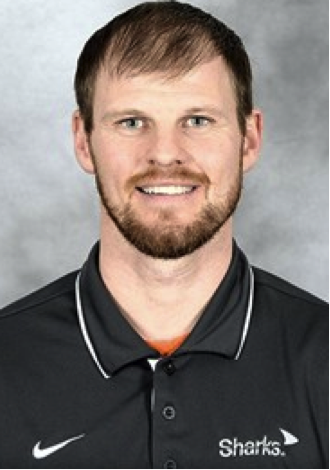 Irby was an assistant coach during the 2012-13 campaign before being named the novice coach in 2013-14. Her prior experience includes a stop at MIT as a volunteer assistant in 2011-12 and a run as the Merrimack River Rowing Association head coach during the summer of 2013. Irby rowed at the University of Texas for four years, joining the squad as a walk-on. By the end of her freshman year, she was a staple on the varsity squad. Fay was hired in the fall of 2014 as assistant coach for the NSU rowing program. Prior to Nova Southeastern, Fay’s most recent coaching experience came at Bates College in Lewiston, Maine, where he served as the assistant women’s coach. In the summer of 2012, Fay served as the Assistant Lightweight Coach for the United States National Team 8+. Fay specialized in utilizing various technology for Team USA and was responsible for testing and analysis. Previous coaching stops include serving as Assistant Lightweight Coach at Cornell, graduate assistant coach at Smith College and the head rowing coach position at Taylor Allderdice HS in Pittsburgh. Fay received his bachelor’s degree at Ithaca College and obtained a Masters of Science in exercise and sports studies at Smith College in 2011. One of the top rowers in the history of the USC program, Ligita Kaviere is in her sixth season (2014-15) as an assistant coach for USC. Kaviere served as a student assistant coach during the 2009 season. Kaviere amassed many prestigious awards during her career, including being named a CRCA/Pocock All-American in 2006 and 2007. Prior to arriving at USC, Kaviere rowed the double-scull event for the Latvian Olympic Union for three years. She won gold at the 2002 Junior Worlds, bronze at the 2003 U23 Worlds and was fourth in the 2004 U23 Worlds. In 2006, she placed seventh in doubles and 11th in singles at the U23 Championships. 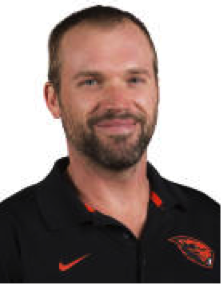 Dameon Engblom was named as Oregon State University assistant men’s rowing coach on October 9, 2014. Engblom’s career started as the varsity men’s head coach for Capital Crew in Sacramento from 2006-09. In 2009, Engblom took the assistant coach position at Oakland Strokes Junior Crew while also working as a volunteer assistant with the University of California men’s crew. In 2010, he was promoted to head varsity men’s coach at Oakland Strokes, a position he held until 2012. During the summer of 2011, he coached with the U-23 men’s team at Penn AC. Engblom’s first taste of collegiate coaching as the assistant coach and recruiting coordinator at UC San Diego during the 2012-13 season. Most recently, he was the assistant coach for the boys and girls teams at Deerfield Academy in Massachusetts. Engblom graduated from Sacramento State in 2006 with a Bachelor of Arts in biological sciences and a minor in Spanish. 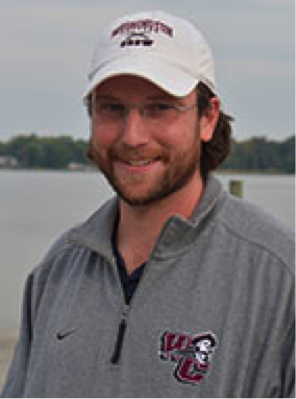 Daniel Hagelberg was named the assistant coach and recruiting coordinator for the Washington College men’s rowing program in the summer of 2013. Hagelberg served as an assistant coach for the Delaware men’s team during the 2012-13 academic year. The previous spring, he assisted the women’s team, working primarily with the varsity four. 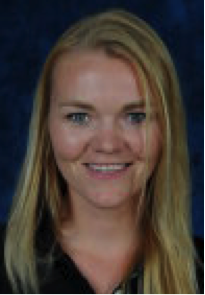 Hagelberg also coached at Penn AC during the summer of 2012 and was named the Director of Summer Programs in February 2013. 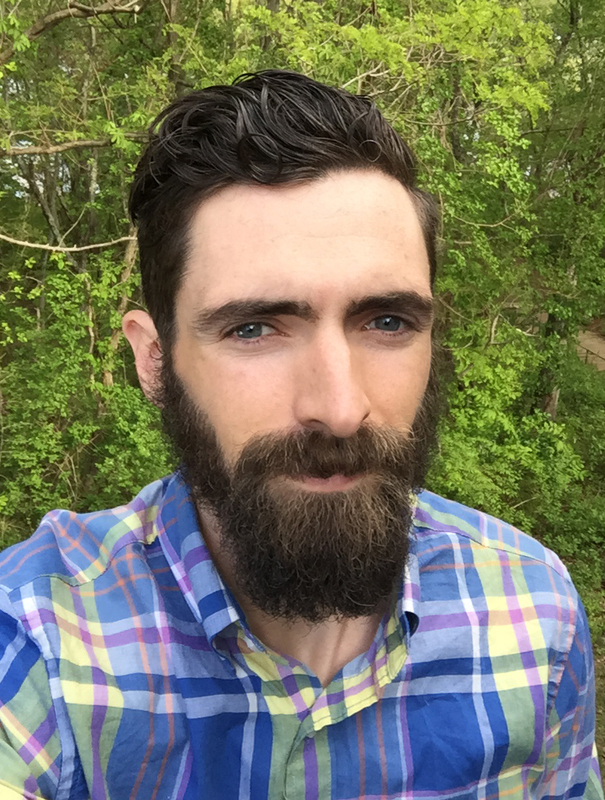 His coaching experience also includes time as the head of the recreational program and head novice boys coach at Newport Rowing Club in Delaware. Hagelberg earned his B.A. in Political Science and History from Delaware in 2008. He went on to earn a Juris Doctor from Widener School of Law in 2011. "I feel like a better coach for having attended Coach Con." "Coach-Con was an environment that facilitated conversation and thought, and I really appreciated that." "Coach-Con was by far the most informative (and fun) conference I've been to. The organization, networking, and discussions were all very helpful." "It was a great weekend not only because of the things I learned, but because of the exposure to some great people in the sport." "The boat repair was the best. It was invaluable to have professionals teaching us in a hands-on setting."